one of the artists that sells images & designs to Emerald Creek. I met Ellie through DT member Shilpa, who I can never thank enough. I was looking for some help to update the stamp catalogue and as soon as I saw her collection, I knew we were going to work together. Here is the first creation Ellie made with the Christmas Polka stamp. 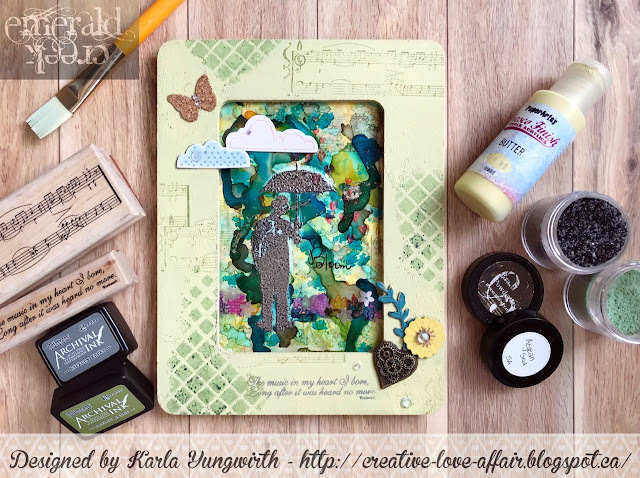 Please pop over to her blog, Paper Stamps, Color and tell her how awesome she is. Fantastic card Ellie! Love all the stamps you've designed so far that Kim has added to her collection!